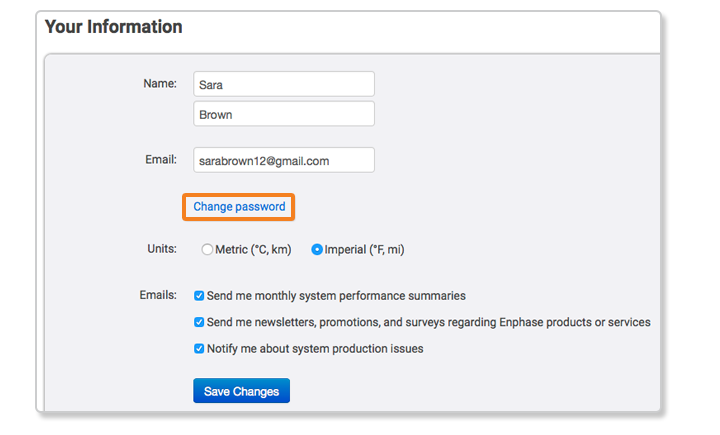 In the MyEnlighten desktop application, click the drop-down arrow next to Signed in as… and choose Settings. In the Enlighten mobile app, tap through to the Menu screen and then tap Account. Under Your Information, click Change Password. Enter your New Password, and then Retype New Password. 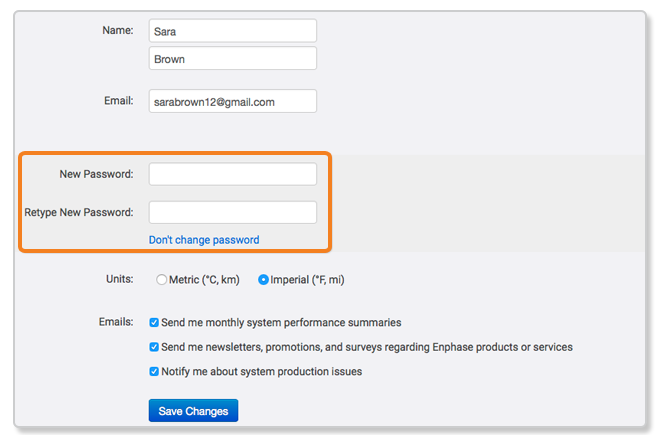 Your password must be at least six characters and include a number (1, 2, 3…) or a special character (such as #, $, %). Click Save Changes. MyEnlighten confirms your password change. Click Back to return to the MyEnlighten main page. If you do not know your password, you can reset it by following the Forgot your password? link on the sign in page.